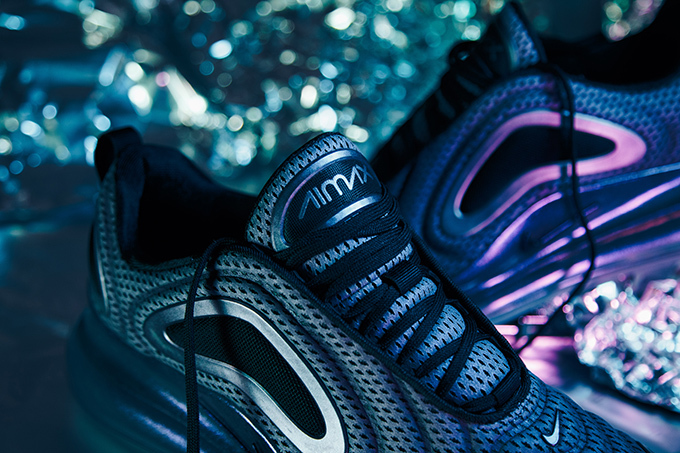 Taking certain style elements from ’90s Air Max models and combining and revising them with cutting-edge materials and construction, the new addition to the Air Max legacy drops now in a run of nature-inspired colourways. 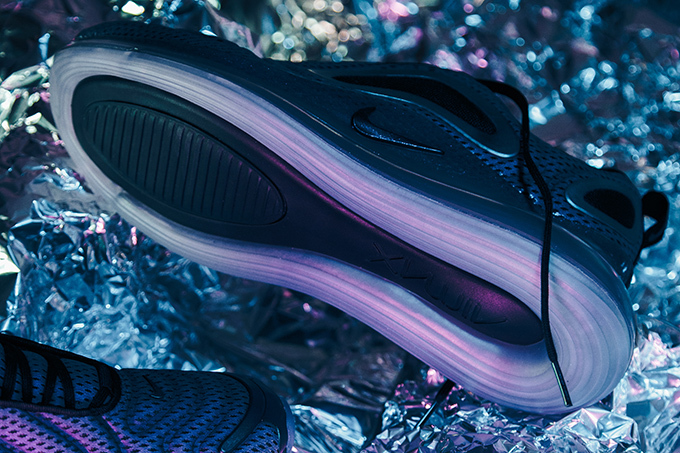 Designed alongside the ever-popular Air Max 270, the new 720 has a superlative cushioning unit, which contains the ‘most Air ever in a Swoosh Brand sneaker’: guaranteed all-day comfort for anyone lucky enough to slip their feet inside. 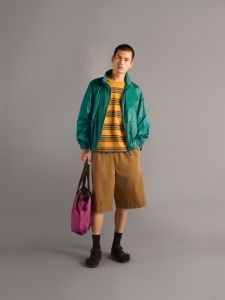 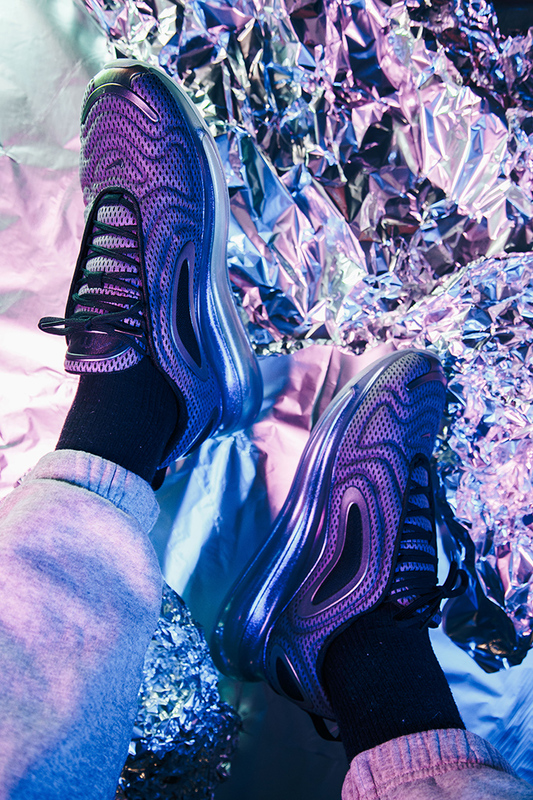 The iridescent purple colour is inspired by the Northern Lights: a natural light display in the Earth’s sky, predominantly seen in the north, towards the Arctic Circle. 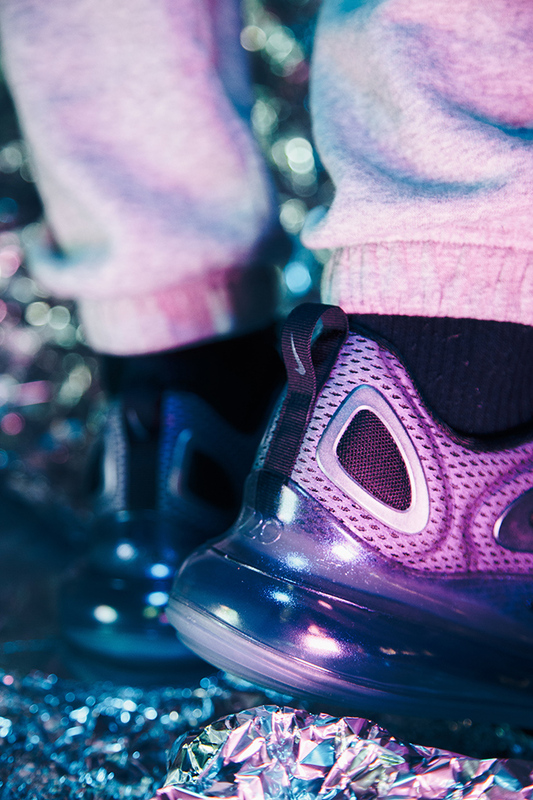 A deep, dark grey mesh upper adds contrast to the shimmering panels, with plastic/mesh overlays and slick Air Max branding on the tongue. 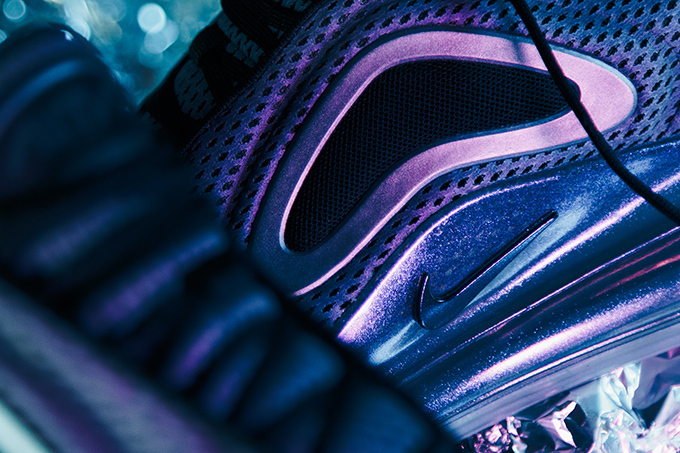 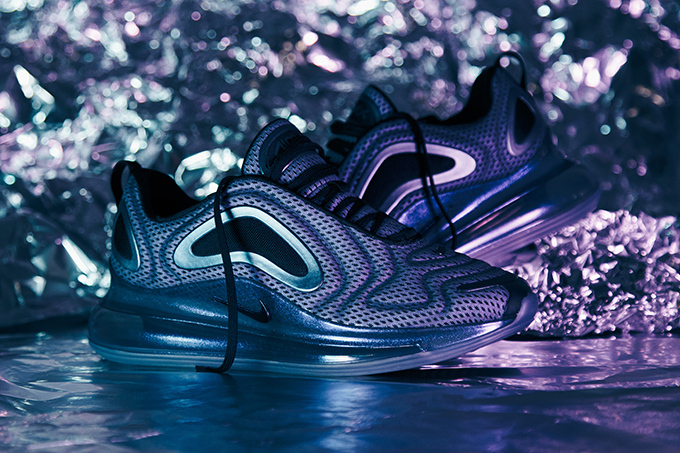 Continuing the Air Max lineage must be a designer’s most difficult challenge: however, from this impressive debut, it’s clear that the Air Max 720 is fit for the throne. 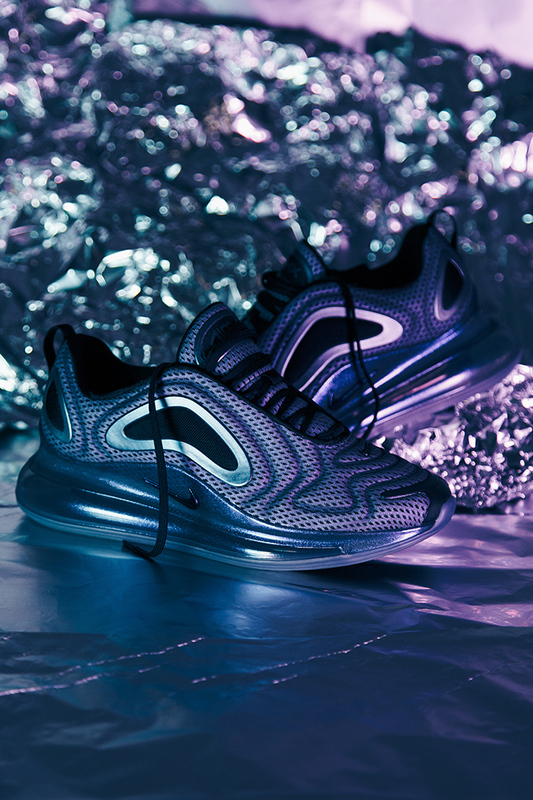 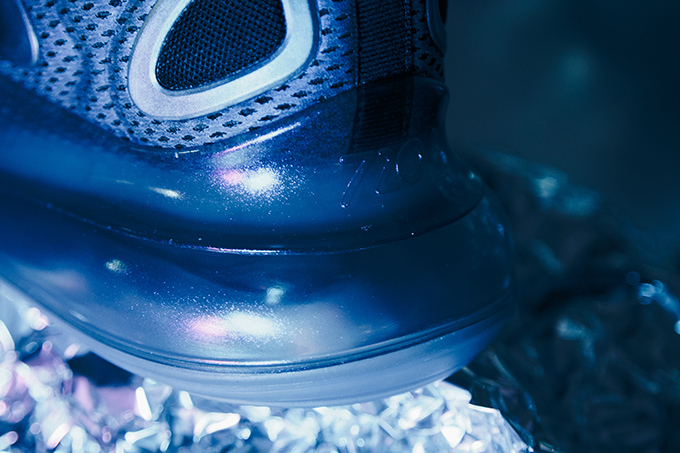 The NIKE AIR MAX 720 NORTHERN LIGHTS drops on FRIDAY 1 FEBRUARY: check out the release page with full stockist information by clicking the banner below.